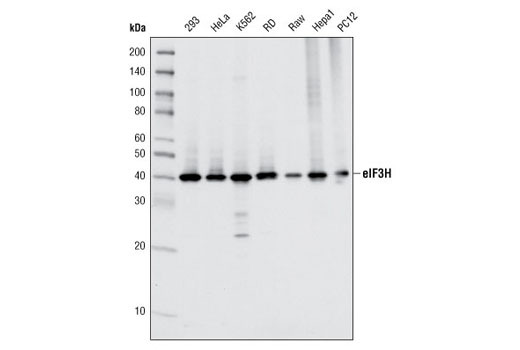 Western blot analysis of extracts from various cell types using eIF3H (D9C1) XP® Rabbit mAb. 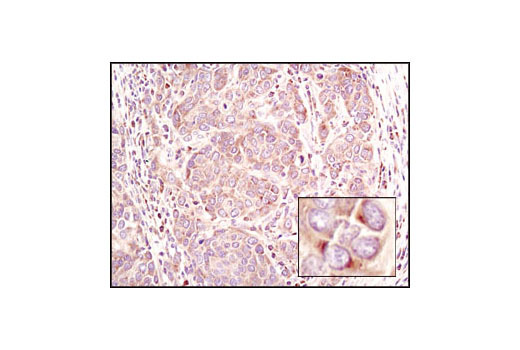 Immunohistochemical analysis of paraffin-embedded human breast carcinoma usinf eIF3H (D9C1) XP® Rabbit mAb. 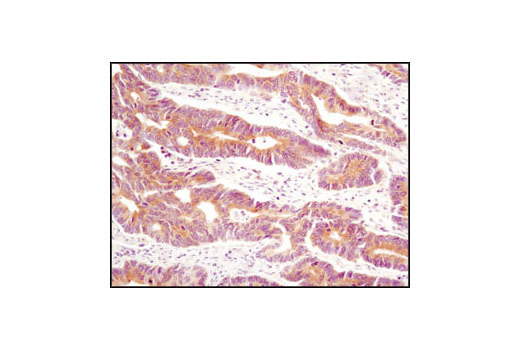 Immunohistochemical analysis of paraffin-embedded human colon carcinoma using eIF3H (D9C1) XP® Rabbit mAb. Confocal immunofluorescent analysis of SK-N-MC cells using eIF3H (D9C1) XP® Rabbit mAb (green). Actin filaments have been labeled with DY-554 phalloidin (red). Blue pseudocolor = DRAQ5® #4084 (fluorescent DNA dye). 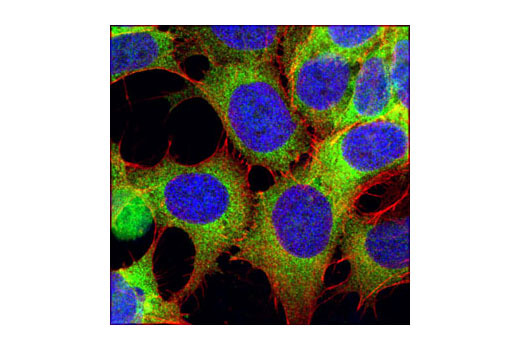 eIF3H (D9C1) XP® Rabbit mAb detects endogenous levels of total eIF3H protein. Monoclonal antibody is produced by immunizing animals with a synthetic peptide corresponding to the sequence of human eIF3H.